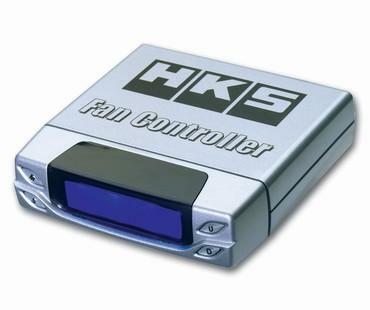 The HKS Fan Controller has been developed to control factory or aftermarket electronic cooling fans. This unit can control one fan at two speeds or two fans at one speed, and can set the fan(s) to turn on or off at preset temperatures. The back-lit digital display provides real time water temperature (in Celsius or Fahrenheit) using the factory water temperature sensor. A peak hold function memorizes and displays the max temperature value. The Fan Controller also features a water temperature warning function. If the preset temperature is exceeded the Fan Controller will make an audible alert and the back-lit digital display will blink. The rate of the blinking tells the user if the water temperature is raising or falling. 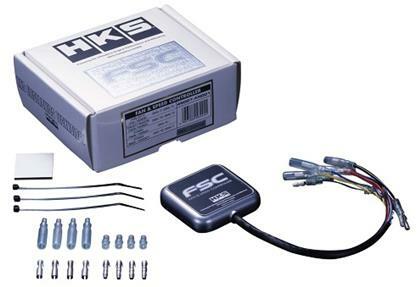 On selected turbocharged vehicles the Fan Controller can also control the intercooler water spray function.